Unspoken by Sarah Rees Brennan– it’s so hard to remember whether I was reading book blogs at this point; I might have been? In any case, I saw the original cover online and loved the idea of a dream boy being real, so I found it at a library nearish me and drove to get it. BEST DECISION. It’s a really fantastic trilogy. Long Lankin by Lindsey Barraclough– one of my best finds!! I drove to the library in the next county to pick up Unspoken and when I was there, I found this on the shelves. It looked so intriguing and creepy, and the tagline really got me! It is by far my favorite horror book, I can’t believe I managed to read it at night. A Curse Dark As Gold by Elizabeth C. Bunce– I had never read a Rumplestiltskin retelling before and I can never resist a fairy tale, esp with historical influence. Plus I tend to love Scholastic titles. 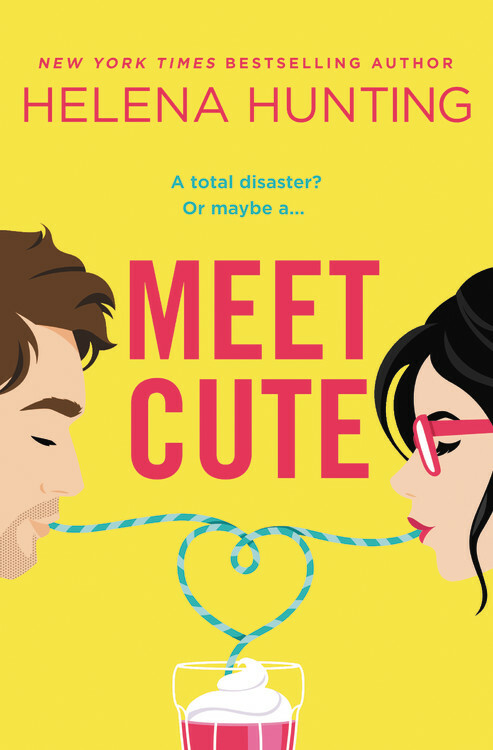 Courtship and Curses by Marissa Doyle– it’s hard to resist magic and Regency England and this was a super charming, funny book that I love to recommend now. The Demon King by Cinda Williams Chima– this has to be one of the first YA books I read when I started really reading YA. I remember finding it in Barnes & Noble and being intrigued by the cover/synopsis. And no one at the store could tell me anything about it! Luckily I took the chance because it’s an awesome series. Across the Universe by Beth Revis– another one of my first YAs (December 2011-January 2012 is when I really started digging in). I found the cover with the running girl at Barnes & Noble and promptly got the sequel from the library because I loved it so much! The Forgotten Garden by Kate Morton– I picked this up and put it back a few times actually! I loved the cover but wasn’t completely sold on the synopsis. Luckily for me, I bought it on a summer trip with my family and discovered a new favorite author. 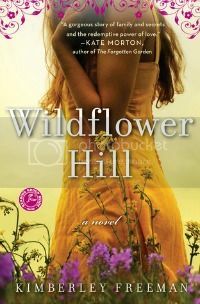 Wildflower Hill by Kimberley Freeman– 100% picked this up because Kate Morton, my very favorite author, blurbed it; pretty sure I saw it on an endcap in Target! If a book is blurbed by her or “for fans of Kate Morton”, I will read it. Ahhhh yes The Lynburn Legacy!!! I still haven’t read the last one. Honestly I think I just don’t want it to end! I think it’s such an underrated series and I totally found it just by looking around in B&N one time, haha. Oh it’s sooooo good! But I know that feeling for sure. I’d love to read them all back-to-back sometime. Such cliffhangers! Isn’t it the best when you randomly discover something great?! I really want to read Unspoken and Courtship and Curses. I’ve never even heard of A Curse Dark as Gold but now I need to check it out. I love that your Kate Morton love started with a random bookstore selection. EXCELLENT LIFE CHOICES. PLEASE DO, I think you would really love Unspoken! C&C is delightful, same with Curse! It’s on the slower side, but very interesting and a bit creepy. Hahaha I know!!! What if I hadn’t finally picked it up?! She did a book signing near me 3 months later, it was such serendipity. Oooh nice! Those are some new to me ones!! I think pretty much all my whimsy reads that I picked came from browsing the shelves!! It’s fun to discover books like that on my own. I feel like I rarely do that anymore, because 1 TBR Mountain of DOOM! and 2 when I see a new book I’m always pulling up Goodreads to see what my friends have said about it or if it’s new what early reviews might be saying about it. Ironically…I think I look to reason 2, because of reason 1. The book has to have me intrigued and I feel like I have to see my friends loving it too! Or even just random people loving it, but I look to Goodreads friends first and see what their ratings were! I was trying to choose between Unspoken and a few other titles after just finishing Uprooted by Naomi Novik (would totally recommend btw). Thanks for the recommend, totally helped me make up my mind. ? Oh I’m so glad! :) Unspoken is fantastic, I hope you like it! I LOVED Uprooted!!! I wish I could find more books like it! The Treachery of Beautiful Things is a YA that sort of reminds me of it a little. But yeah. What an amazing book. I totally picked up MTB for the cover. Too bad the inside wasn’t as good for me as the outside was. I thought it was cute, but also a story I’ve read before… ya know?? Aww that’s a shame. 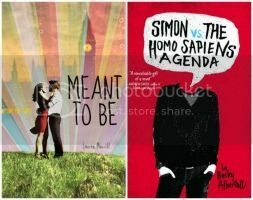 It was the first YA contemporary I read so I didn’t have much to compare it to. The cover is super pretty though! I’m so sad that I never had the chance to grab the first edition of Unspoken. Such a pretty cover! That took me by surprise so much. The cover looked almost childish and I never would have assumed how dark the book was based on the synopsis! Soooo pretty! I’m sad they redesigned it. Gosh I know! It really was a surprise, I didn’t expect it to be so gothic and frightening in some ways. But in others it’s so funny and even romantic. Ahh. Now I want to read it again! I own The Demon King. My husband has bought it but I still haven’t had a chance to dig into this series. It’s always hard to pick up a new series BUT I’ve heard great things about it and look forward to reading it! I feel the same way, I always hesitate to start something new! That’s a series that gets better with each book too, which is the best. It starts a little slow but intriguing and gets so good! OMG A CURSE AS DARK AS GOLD IS SO FREAKING AMAZING!! !